Uber launched Uber Lite today in India, as it works to make its rideshare app more accessible to people with poor internet connections. The company boasts that the app only takes up five megabytes of data on users’ phones -- the equivalent of just three selfies. The lite version of the app is currently only available in India, though Uber plans to market it in other countries moving forward. The app is also only available for Android users, which comprises the majority of the Indian marketplace. The company has yet to report if it will eventually branch out into the Apple market, as iPhone sales account for just two percent of smartphone sales in India. “At Uber, we believe that anyone, anywhere should be able to get a ride,” the company said in a statement. “And while that’s true for millions of people across more than 600 cities where we operate, ridesharing is used by only a small fraction of the world’s population today. The redesigned version of the app allows users to keep storage on their phone for other things, while still being able to catch an Uber ride. The company says its new lite app features a 300-millisecond response time, which it compares to “literally the blink of an eye,” and promises functionality in areas of low connectivity. 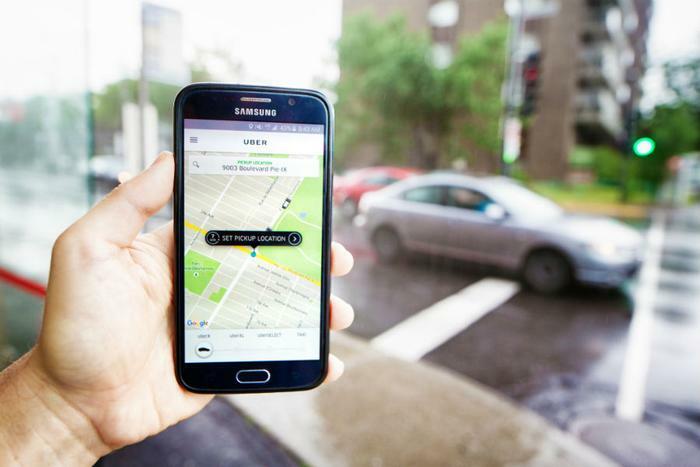 The new app keeps many of Uber’s signature functions, such as sharing trips with friends and family and in-app support. However, it combines those with the new ability to book rides in slower than normal internet speeds and with limited data plans. Guided Pickups: This feature guides users through the request process by detecting their current location, thereby eliminating unnecessary typing. The app will also generate popular pickup points for users to choose from should the phone’s GPS service be spotty or unable to get a reading. Tap over type: The app caches cities’ most popular places, so even if users are offline or have poor cell reception, no network is needed for them to pop up. The app also becomes more intuitive each time you use it, as it will remember places users go most often and show those options to tap on first rather than typing in the same destination repeatedly. Selective use of maps: Maps in Uber Lite are optional, as the company aimed to keep the app as fast as possible. However, maps can always be accessed with a quick tap. Soon, the app will allow users to track a drivers’ progress on a trip should they opt not to have maps displayed. Uber plans to roll out updates to the Lite app in the coming months. Users will soon be able to choose the language they prefer for the app during sign in and also request rides when offline. The decision to roll out the Uber Lite app in India comes as the company works to make its mark overseas. Currently, India’s most popular rideshare app is called Ola, and the company has already rolled out a Lite version of its own app. Ola Lite is just one megabyte and garners roughly 45 percent of India’s taxi market, compared to Uber’s 35 percent.